When I did a demo of Hatchbuck and saw how similar the interface was to Hubspot - at a fraction of the cost - I knew I needed to give it a try. Organizers Direct is a network of dealers specializing in home storage solutions including closets, garages, home offices, pantries, laundry rooms and more. As they grow their network, they are focused on finding new dealers, training them on the closet/garage storage business and continuing to support them as they grow their business. Kristin Schneider has been with Organizers Direct since 2013, starting out as an office manager and working her way up to Business Director. As a one or two person shop, more features wasn’t necessarily better for Organizers Direct dealers. Tools like Hubspot, Salesforce, and Marketo can be excellent options for enterprises, or for marketing agencies with large clients. However, the complexity of these solutions is often overkill. 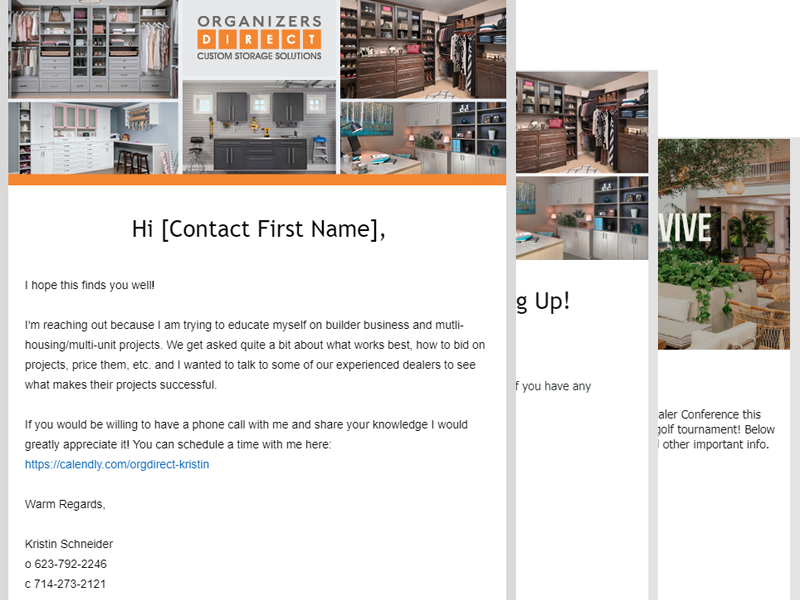 Organizers Direct simply needed a way to organize their database and stay in touch with their prospects and customers. In becoming Hatchbuck customers, Kristin found the Hatchbuck Partner Program to be the perfect way to scale sales and marketing resources across their dealer network. As a Hatchbuck Partner, Organizers Direct has access to special features for their network – like co-branding and custom template libraries that can be shared with every dealer. 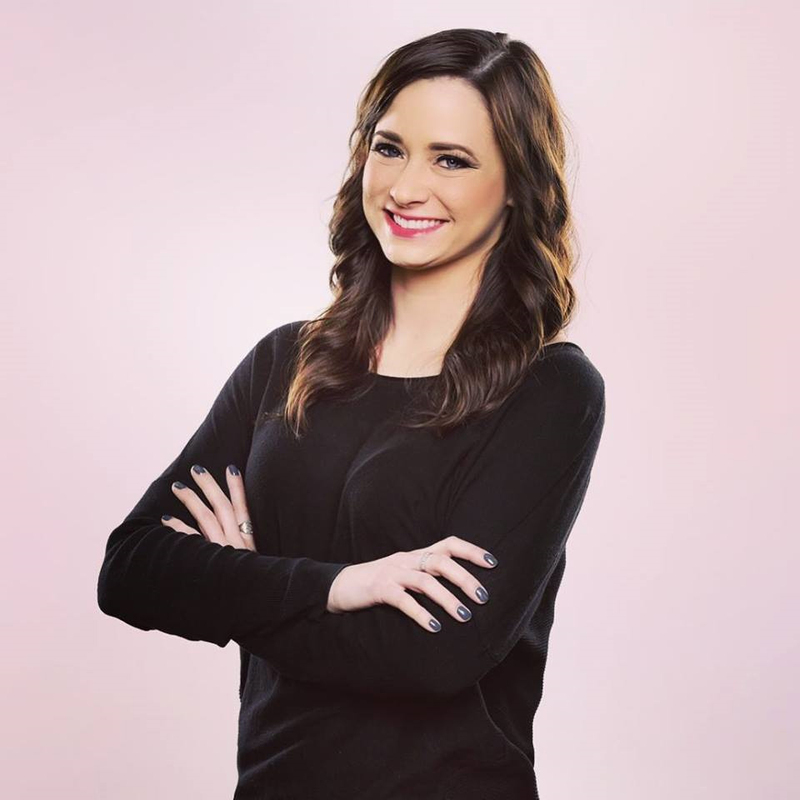 From the master account, Kristin can pre-populate email templates, campaigns, tags, contact statuses and more. It’s a turn-key package for Organizers Direct dealers that allows them to keep the focus on running their business, rather than worrying about creating content or putting a sales and marketing process in place. With a CRM solution in place, Kristin’s next challenge was to tackle lead analysis. 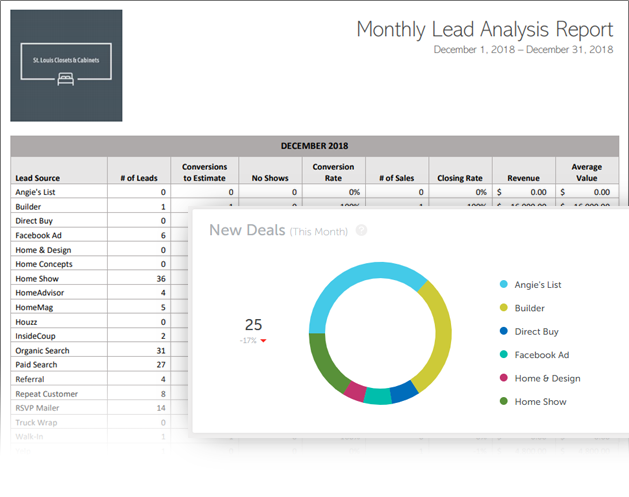 Manual lead analysis and reporting could take several hours per week. Now, dealers can easily see which marketing sources are working – and where they’re wasting their money. They have intelligent insight into how they can get the most ROI from their marketing budget – and get more hours back in their day. The efficiencies haven’t stopped there. Hatchbuck’s integration with Zapier makes it simple to connect Hatchbuck to other apps, eliminate data entry and automate repetitive tasks. Like many other Hatchbuck customers, Organizers Direct took advantage of this feature to further automate daily processes. In addition to implementing Hatchbuck for their dealers, Organizers Direct also uses Hatchbuck to manage their network. Finally, hands-on consulting and support have been key to Organizers Direct’s success on the platform.